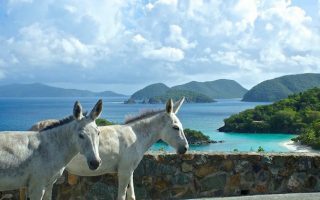 The Virgin Islands are a cluster of the Caribbean Leeward Islands, known for green jungly forests, glimmering white sand beaches, and scenic rocky bluffs. 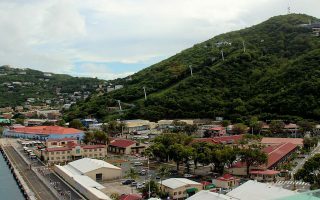 Various islands fall into various political jurisdictions, but the United States Virgin Islands (USVI), which are some of the main tourist islands, are St. Thomas, St. John, and St. Croix. 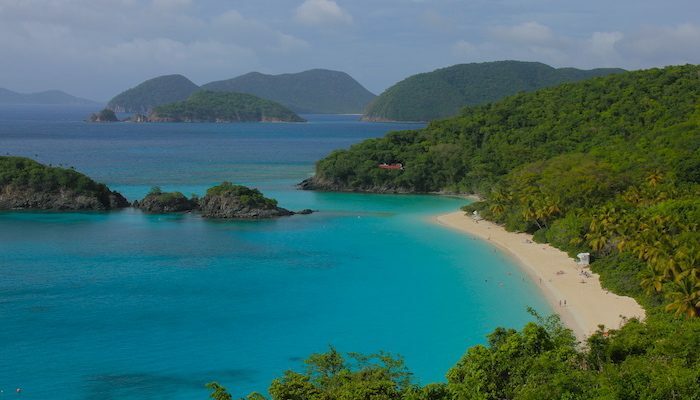 Running on the U.S. Virgin Islands can be somewhat of a challenge. Roads are extremely windy and narrow (few have sidewalks or shoulders), trails can be muddy and steep, and even the nicest beaches are relatively short. That said, there are a few great spots to run — you just need to know where to go! There are waterfront sidewalks, coastal trails, golf courses where running is permitted, and even a few streets and beaches which are good for running. We’ve done the research to come up with the best places to run on St. Thomas, St. John, and St. Croix. Travel between the islands is by plane or ferry. On the islands, the most recommended way to get around is by renting a car or hiring a taxi. There is bus service on St. Thomas and St. Croix, but it can be erratic…use caution if you’re prone to motion sickness! 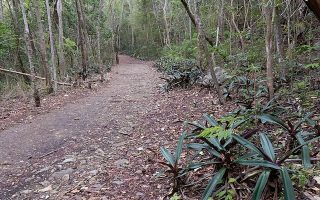 This run in Virgin Islands National Park is a bit off the beaten path, but it’s an interesting course which mixes paved roads, paths, and waterfront views. 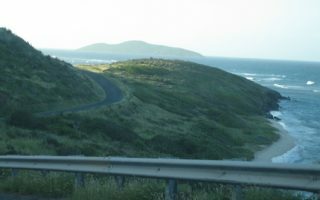 Francis Bay Trail is 6 km out and back, or 7.5 km when combined with the Johnny Horn Trail. Trails in the USVI can be steep and rocky, but this 2.6 mile out and back route in Virgin Islands National Park from Cruz Bay up to Honeymoon Beach is one of the most runnable trails on St. John, and features great views. A perfect course for anyone staying at or near the St. John Westin, Great Cruz Bay Road is a two mile (3.5 km) roller coaster of a paved street running along the rocky peninsula between Cruz Bay and Chocolate Hole. The breezy 1.2 mile stretch along the Long Bay Waterfront is a rare opportunity to break away from the trails and narrow streets of the USVI and run along a nice paved walk which caters exclusively to pedestrians. 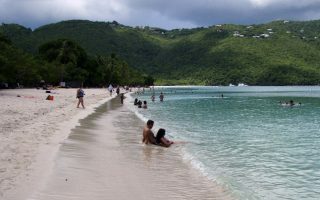 Magen's Bay is arguably the best beach for running on St. Thomas. About 1.5 miles (2.4 km) out and back on quite runnable sand, with a concrete path/road along the beach as an option. 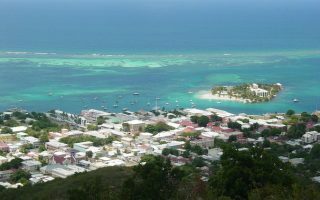 Town on the northern shore of St. Croix that offers some interesting history and some good running options. Run in town, around the National Historic Site, up the Christinansted Bypass road to an overlook with great views. 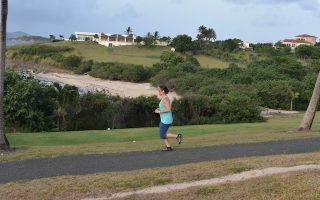 The Buccaneer Golf Course, in the Shoys area of St. Croix, may seem exclusive and inaccessible, but it is home to a public jogging track where runners can get in a good, and hilly 4 miles (6.4 km) away from the busy, narrow roads. 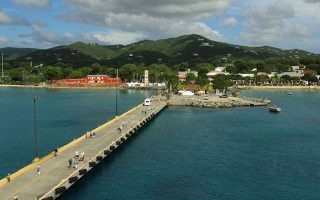 Located on the western end of St. Croix, the “Freedom City” of Frederiksted is a sleepy port town with a rich history and a fabulous 1 mile (1.6 km) long waterfront walkway, a pier, and a quiet road to Sandy Point Refuge. Great running on the eastern side of St. Croix. The road from Cramer Park to Point Udall has incredible views (no shoulder, use caution!). There is also some of the best trail running in the USVI here. Note: super hilly! This being the Caribbean, weather is warm and sunny throughout the year. There is not a lot of variation from month-to-month, with high temperatures typically in the high 80s to near 90F (29-32C). Nights are warm and muggy, with temperatures staying in the low-to-mid 70s (22-25C). August through November are usually the rainiest months. 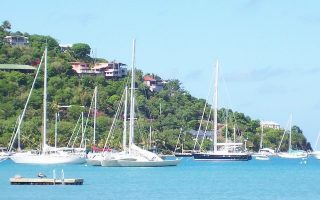 Check out VisitUSVI.com for travel advice. On St. Croix, you can group run with the Virgin Island Pace Runners. Find races and other sporting events here.